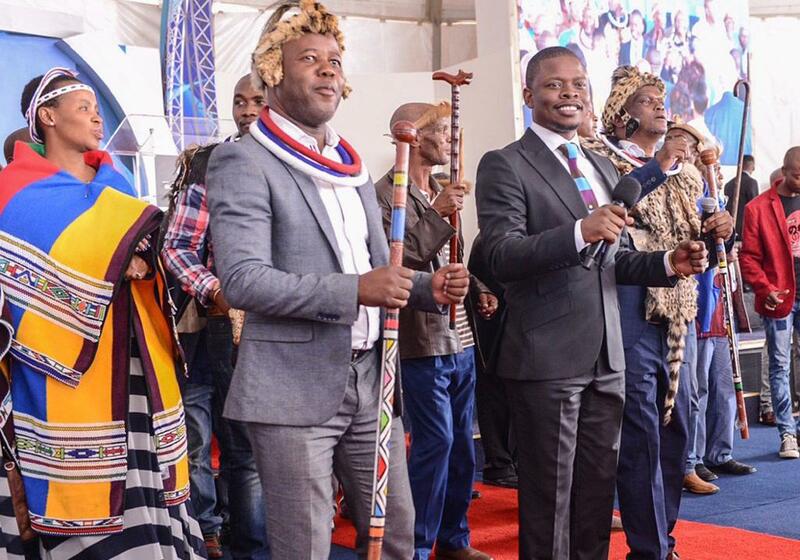 King of AmaNdebele people in South Africa, King Makhosonke II, has crowned Malawian Prophet Shepherd Bushiri the ‘prince’ of his kingdom as part of honouring the preacher for continuous charity work. The king sent a powerful, 60-people delegate to pray with Bushiri at Pretoria Showgrounds on Sunday. The delegate involved prince and princesses, senior traditional leaders and various members of the ruling council. Leader of the delegate, Prince Thomas who is second in command, told the ECG gathering that King Makhosonke and entire AmaNdebele kingdom embraces Prophet Bushiri as one of the key personalities in South Africa with regards to changing people’s live both spiritually and physically. “The king has seen how the Prophet has been giving to the less fortunate in South Africa and also touching people’s lives, through healing and deliverance, in his church,” he said. He added that because of that, the king has now recognized and made Prophet Bushiri part of the kingdom as one of the prince. “From today, he shall be called Prince Prophet Bushiri and not only that; even the mother of ECG, Prophetess Mary Bushiri as Princess Prophetess Mary,” he said. Further, the king even allocated a piece of land in his kingdom to church. In his words, Prophet Bushiri hailed the King for the gesture and emphasized that the crowning will help him do more in terms of charity. Recently, Prophet Bushiri donated R400 000 to fire victims in Alexandria. A week later, the Prophet support the charity group, Isikhululeka Isizwe charity organization with R300 000.